Very interesting post. Mind if I get Chris to reprint this in the ASPE newsletter? You should have let me know you we doing this. I bet we could have “found” some of this stuff from Watts. You wanna really have fun (or be disturbed) use your TDS meter to check the public drinking supply when your back in the states. Washington DC was the worst we found. Its was under the limit but up at 480…. 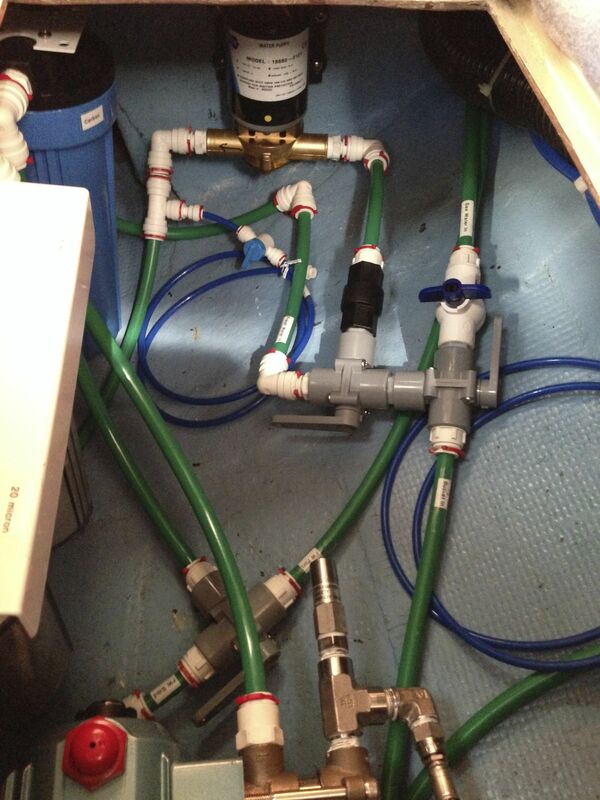 So… where’s the expansion tank you bought from Lowe’s? I was wondering when we’d get to read about the water maker and how it was performing. Sounds like a good deal of work, but I can see why you wanted to do it. Good Work, JR! 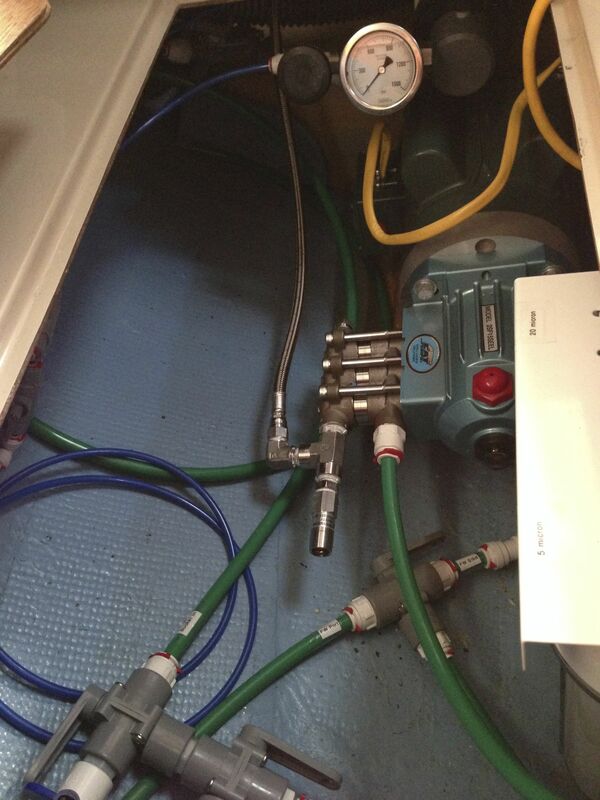 The accumulator tank is on the freshwater system, on the pressurized side. Physically speaking, it is on the other side of the boat. 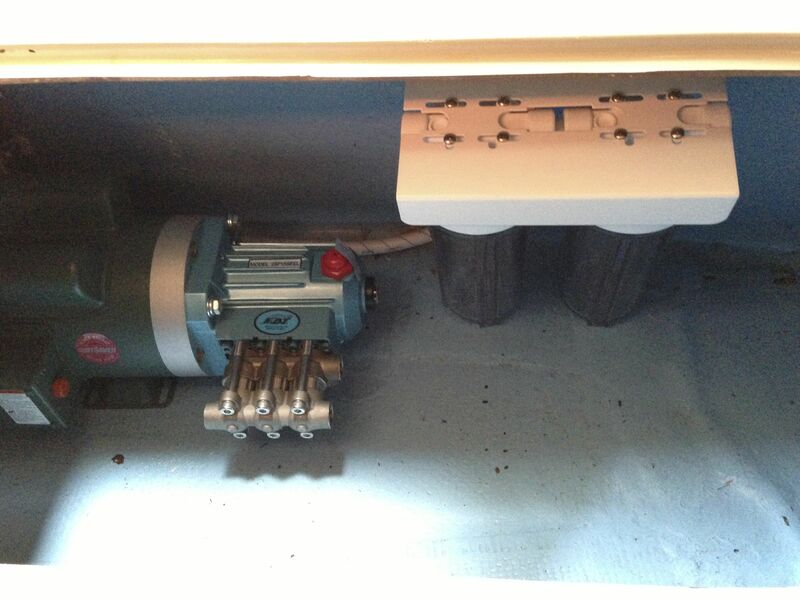 The watermaker is connected to the freshwater system at the tanks, but upstream of the pressure pump so it not part of the pressurized freshwater system. 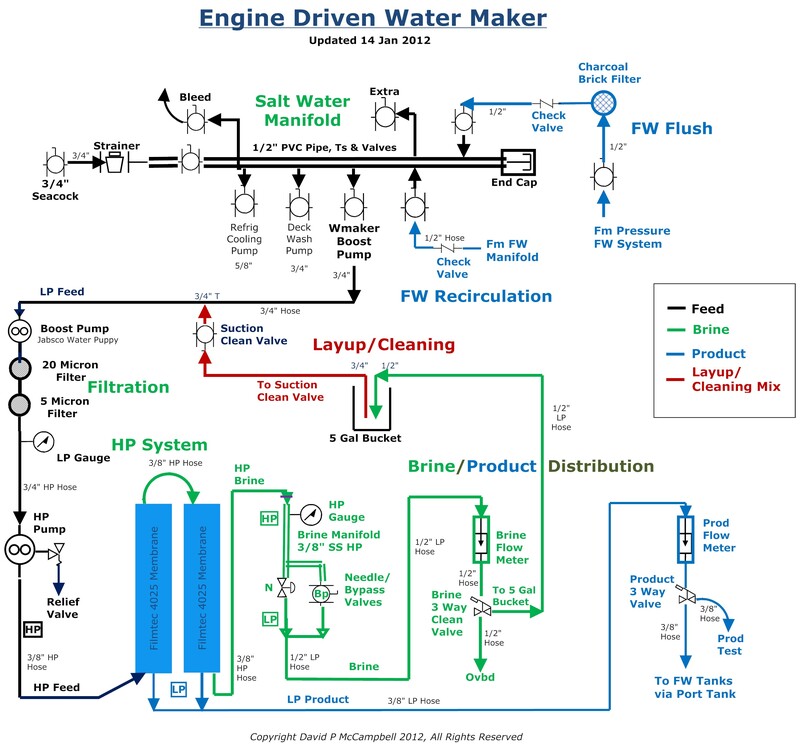 I came across some watermaker system designs that included something similar for pulsation dampening, but that does not seem to be necessary for us based on my observations. Great article JR. Thanks for sharing what you learned!!! Wow, very informative. Thanks for posting this, it’s something I may add to my boat one day. But, like you say, only if I cruise long enough. Great explanation of your system. Hope to have one of my own next season. It was great to meet you guys in George Town. Just arrived in the Keys. Sloppy sail across the stream but Mekhaya handled it as well as could be expected. Hated loosing he autopilot but I guess hand steering for 14 hours is character building. Hope our wakes cross next season. Wow great information. Do you mind if I put a link to this page in my blog?